This article elaborates on the HTTP Tunneling connection method and explains how to configure it by means of dbForge Studio for MySQL. dbForge Studio for MySQL allows you to automate report creation process by using command line utility. There is a simple way to send comparison reports automatically via email. To accomplish this task we will use the Collaboration Data Objects (CDO), previously known as OLE Messaging or Active Messaging. CDO is an application programming interface included with Microsoft Windows. 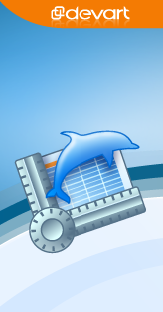 Did you know that dbForge Studio for MySQL is a great alternative to MySQL Workbench? In case you have used MySQL Workbench in the past, or consider using it now, you might want to take a closer look at dbForge Studio for MySQL, to make sure you pick wisely the tool that will meet your requirements the best. Debugging SQL code is a very important task these days. Unfortunately not all database servers support this feature. And MySQL is one of such servers. In spite of its wide feature set, debugging is not implemented in it. So the problem is that MySQL provides no API functionalities for code debugging. But the necessity to debug SQL code does not disappear and becomes more and more important each year. Some companies that develop tools to access data of MySQL server databases create their own debuggers that solve this problem to some extent. 2011 DevProConnections nominates dbForge Studio for MySQL as Best IDE Product! Support Your Favorite Devart Products in 2011 DevProConnections Voting! is nominated in the following category.